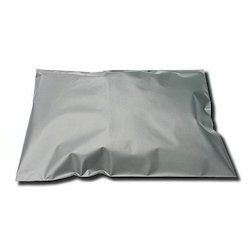 Pioneers in the industry, we offer mail bags from India. These Mail Bags are available in different weights and sizes as per the requirement of client’s business. These can be re-used as shopping bags, laundry bags, newspaper bags and promotional bags. These are available in different sizes. High density and low density Polyethylene carrier bags are available and can be used as shopping bags, laundry bags, newspaper bags, promotional bags and obviously for mailing purposes. Looking for Mail Bags ?